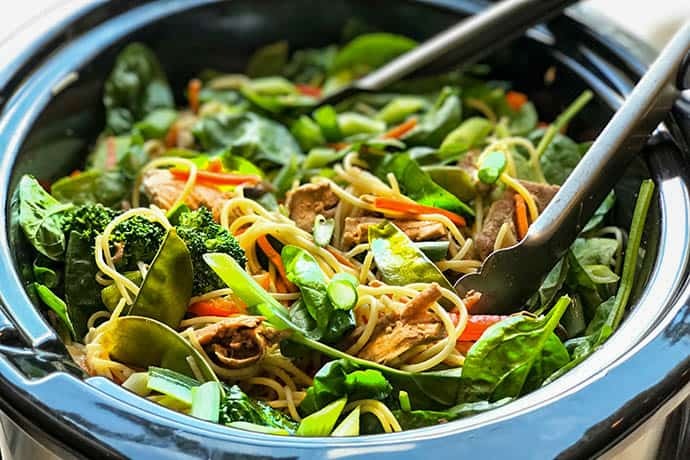 Easy Slow Cooker Pork Lo Mein with Veggies is a standby, healthy dish you’ll want to add to your monthly meal rotation. 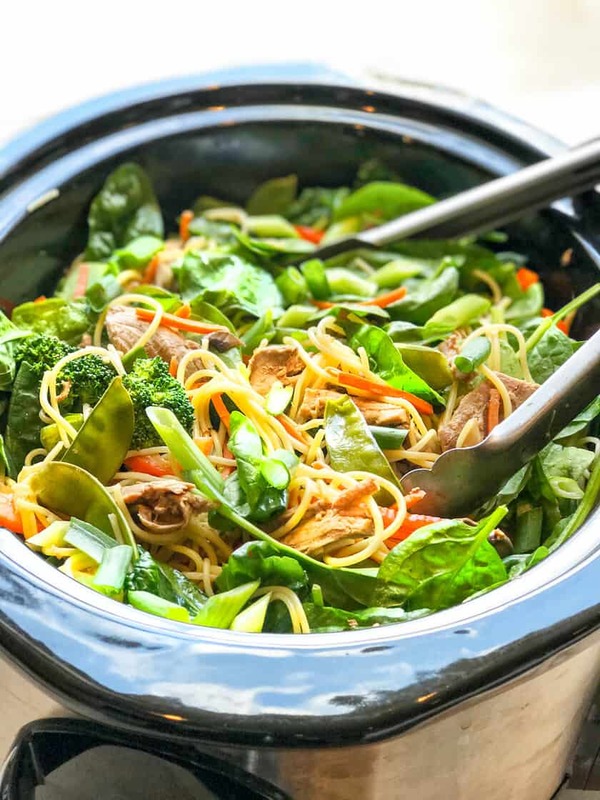 Packed with veggies, slow cooked in a delicious Asian lo mein cooking sauce, it’s a favorite I keep coming back to. 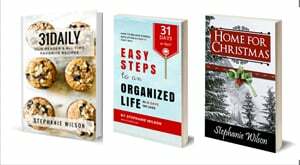 Slow Cooker meals are incredibly convenient, no matter the season. 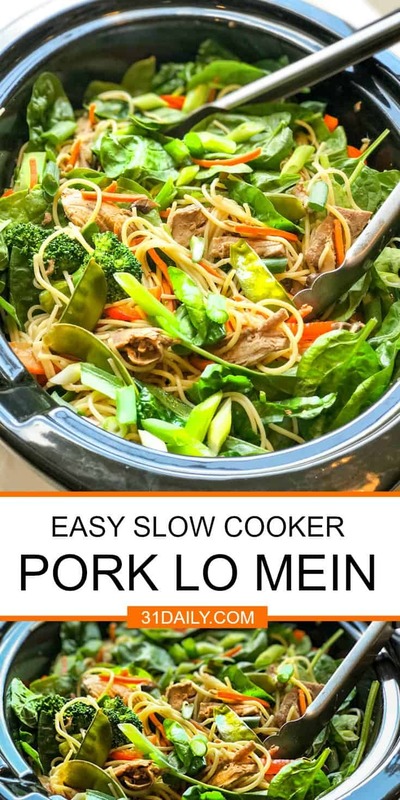 The pork in this lo mein slow cooks in the lo mein sauce all day on LOW (7-8 hours) or on HIGH (3-4 hours). Add the veggies and let them cook on HIGH while preparing the noodles. 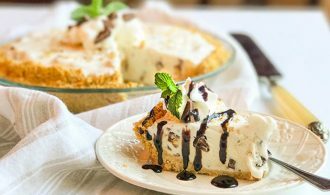 About 20-30 minutes later, you have a delicious, filling and healthy dinner. 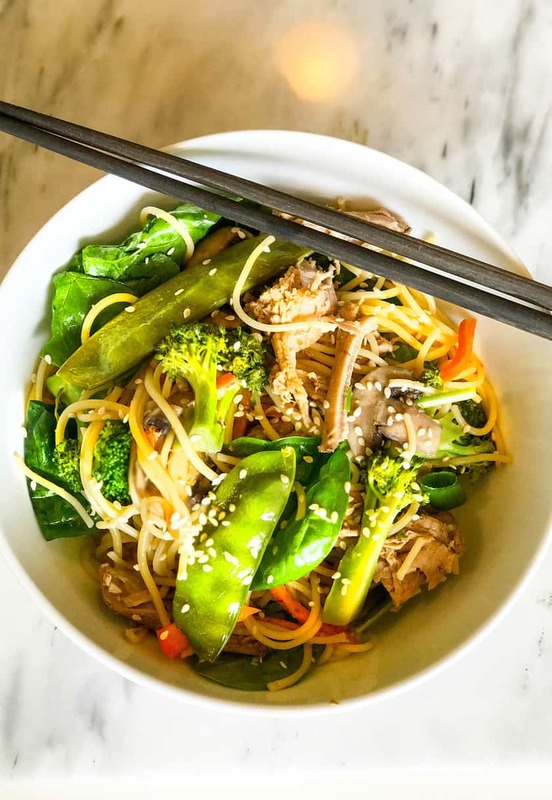 Easy Slow Cooker Pork Lo Mein with Veggies is a standby, healthy dish you’ll want to add to your monthly meal rotation. 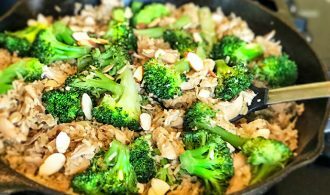 Packed with veggies, slow cooked in a delicious Asian lo mein cooking sauce, it’s a favorite I keep coming back to. Whisk together soy sauce, garlic, ginger, brown sugar, oyster sauce, sriracha, and sesame oil in the bottom of the slow cooker. Add pork shoulder or tenderloin, cover, and cook on LOW heat for 7-8 hours or HIGH for 3-4 hours. Remove pork from the slow cooker and shred with two forks. Return meat to the pot and mix with the juices. Stir in broccoli, carrots, snow peas, bell pepper, and mushrooms. Cover and cook on HIGH for 30-45 minutes, or until veggies are tender. During the last 10 minutes or cooking, add fresh baby spinach leaves. I serve this two ways. Either I add the cooked pasta into the slow cooker and then serve, or I serve the pasta separately and top with the lo mein. It’s delicious both ways! Garnish with green onions and Sriracha sauce.